Emory University did not admit a student from the state of Montana this year. 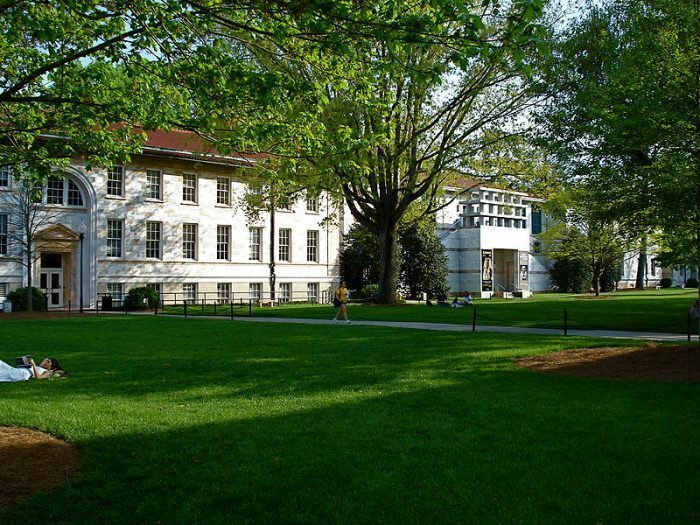 The admissions figures are in the books for Emory University’s Class of 2023. In all, 30,017 students applied for admission to Emory this year — a 9% increase over the total pool of applicants to Emory’s Class of 2022. The 30,017 tally is a figure that includes Early Decision I (ED I applications set a new benchmark this year), Early Decision II, and Regular Decision applicants. Admitted students hail from 49 of the 50 states (you can bet Emory would have loved to admit a student from that 50th state — Montana!) and admits hold citizenship to 106 countries. 442 of these students will be the first in their families to attend college. 32% are underrepresented minorities. Admits hail from 2,562 high schools all around the world. Congratulations to all students who earned admission to Emory’s Class of 2023! Maybe next year, the university will be able to find a student deserving of admission from the great state of Montana!